Donate your used boat or vehicle to a nonprofit organization. Kill two birds with one stone. First is the dove of peace and serenity hatched from the knowledge that you have given back to the world in your own way. Second, and probably the more practical bird, is scoring a tax cut. Some charities are not prepared to accommodate such donations, let alone worthy of your prized asset. Research until you land a reputable organization. The Better Business Bureau website and Charity Navigator keep tabs on charities’ history. For you to be eligible for a tax deduction, your chosen charity should be a 501(c)(3) organization approved by the Internal Revenue Service (IRS). The IRS’ Publication 78 includes a list of qualified charities car donations or boat donations can go to. Your church, temple, mosque or synagogue would likely fall under this list. Do not eat the bait of intermediary companies telling you to make your donation through them. A middleman has a profit motive, i.e. to keep as much as 90 percent of your donation’s value for themselves, with barely anything else for your chosen charity. These organizations tellingly make hard-line marketing campaigns on print, TV, etc. To be certain, inquire directly with your favored charity whether or not they welcome used boats or cars as donations. Stay away from the middlemen as much as possible. Maybe you are too busy to handle these affairs. If you insist on going through a go-between organization, ask if most of your donation would proceed to your designated charity. When the middleman only sets aside a flat fee to your charity, your donation may be disqualified from a tax cut. 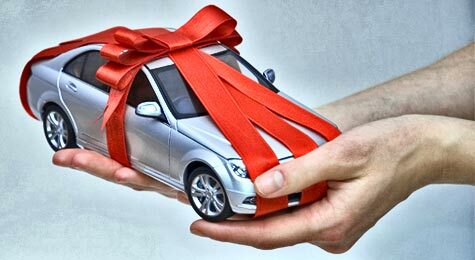 Charities pay for the transport of your car or boat donation if you do not deliver the goods yourself. Save them the hassle and outflow. Lest you want to incur traffic-violation-related tickets on behalf of your boat or car charity, donate with consideration. This means formally transferring ownership of the vessel or vehicle to the nonprofit. Fill in the blanks denoting the new owner in the necessary documents. Also notify your state’s vehicle licensor about the re-titling. Before the IRS grants you a tax cut, it will need proof of what your boat or car donation to charities is really worth. Since most charities eventually sell such donations for cash, they would have to show an official receipt to the IRS displaying the amount of money it gets from the sale. For other charities, car donations and boat donations are meant to be used for what they are. In such a case, or when the vessel or vehicle is valued less than $500, you can just show the IRS its fair market value as dictated by leading valuation companies. Carefully document your donation if your vessel or vehicle is worth more than $500. Fill up IRS Form 8283 and attach it to your tax return, along with an evidence of the donation, e.g. certificate of the re-titled car or boat. Your papers should include external appraisal if the boat or car is valued at more than $5,000. Filing these documents will ensure the charity capitalizes on your erstwhile asset and you earn the optimum tax cut in return. Vehicle donation can be a very rewarding experience. After reading this blog, and keeping these tips in mind, I just recently donated my car and it was much easier then it I thought it would be. Not only did they tow it away for free, but I also received a great tax deduction. What charities have you donated to? in malaysia, there is a lot of people that like to donate for charity. It’s good. However, every time they donate. Always knows by people and out in newspaper anda television. It’s look like show off. Really nice post with 9 Tips In Donating Boats Or Cars To Charity! !It is really good thing to Donating things like this!!! Very excellent solution and tips is successfully donating charity blog post. I really like your tip about formally transferring ownership of the vehicle to the nonprofit. It wouldn’t be fun to have to deal with anything happening in your after you donated it because it wasn’t done properly. I will definitely pass these car donating tips to my sister who is thinking about donating her vehicle to charity.